Low temperature is the most important abiotic stress affecting rice ( Oryza sativa L.) yield in Chile. Rice in Chile is usually planted when the minimum air temperatures are below 12 °C. This temperature is lower than the optimum needed for normal rice germination. 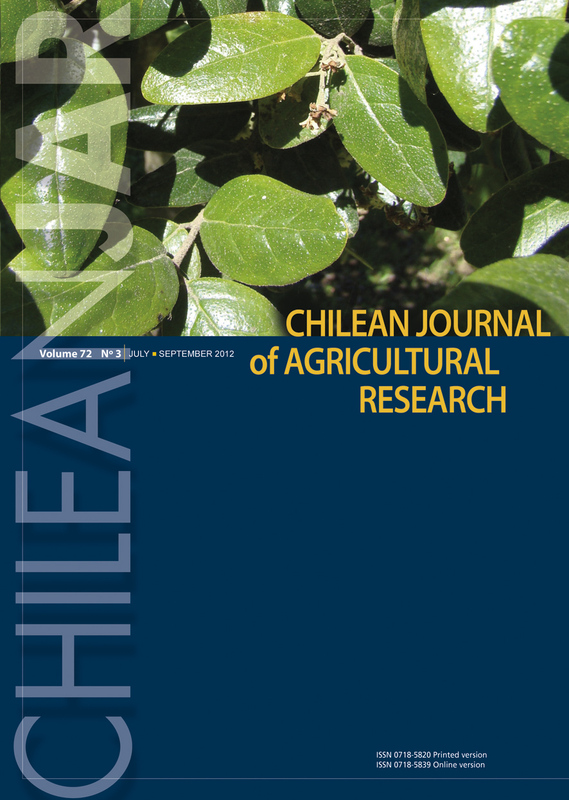 Therefore, the aim of this study was to evaluate cold tolerance in 20 experimental lines from the Rice Breeding Program of the Instituto de Investigaciones Agropecuarias (INIA), Chile, at the germination stage. Coleoptile length reduction (CRED), coleoptile length after cold treatment (CLEN), coleoptile length recovery (CREC), and coleoptile regrowth (CREG) were evaluated at 13 °C for 4 d using ‘Diamante-INIA’ as the cold-tolerant control. To find genotypes with cold tolerance (low CRED value and high CLEN, CREC, and CREG values), genotypes were ranked, a biplot of principal components, and cluster analysis were performed. No differences were found among genotypes in the ranking based on CREC value so this trait was not considered. Analysis showed that only three experimental lines had cold tolerance similar to that of ‘Diamante-INIA’; all other experimental lines exhibited intermediate to low cold tolerance. These results showed low cold tolerance of some Chilean genotypes at the germination stage, thus confirming the need to evaluate the rest of the germplasm from the Rice Breeding Program.